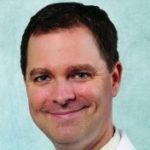 Dr. Gerstner is a 1997 graduate of the Southern College of Optometry, and completed a residency in ocular disease at Southern Eye Associates in Memphis. He earned his bachelor of science degree in biology from Indiana University in 1993. He currently serves as an associate professor and chief of the Advanced Care Ocular Disease Service at The Eye Center, Southern College of Optometry. He also is a partner at Midtown Eye Care, a private practice in Memphis.